There has been much recent celebration of the success of African 'civil society' in forging global connections through an ever-growing diaspora. Against the background of such celebrations, this innovative book sheds light on the diasporic networks - 'home associations' - whose economic contributions are being used to develop home. Despite these networks being part of the flow of migrants' resources back to Africa that now outweighs official development assistance, the relationship between the flow of capital and social and political change are still poorly understood. Looking in particular at Cameroon and Tanzania, the authors examine the networks of migrants that have been created by making 'home associations' international. They argue that claims in favour of enlarging 'civil society' in Africa must be placed in the broader context of the political economy of migration and wider debates concerning ethnicity and belonging. They demonstrate both that diasporic development is distinct from mainstream development, and that it is an uneven historical process in which some 'homes' are better placed to take advantage of global connections than others. In doing so, the book engages critically with the current enthusiasm among policy-makers for treating the African diaspora as an untapped resource for combating poverty. 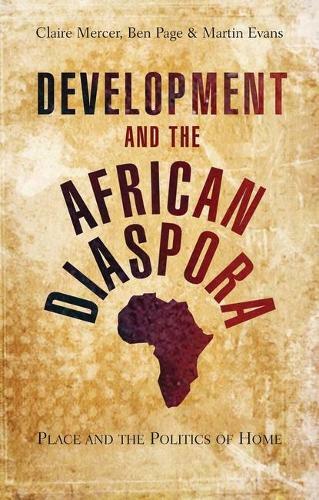 Its focus on diasporic networks, rather than private remittances, reveals the particular successes and challenges diasporas face in acting as a group, not least in mobilising members of the diaspora to fulfill obligations to home.